Propeller Anime: Ninja Olympics @ MegaCon 2011! Do you and your buddies want to become supreme ninja masters? Of course you do! The first step in your path of the ninja is to compete in the Ninja Olympics and tests your abilities in events of stealth, cunning, strength, and endurance against other ninja teams! Can your team of three ninjas bring the golden shuriken home? This is one of the many events Propeller Anime Club will be hosting at MegaCon 2011. This epic event will be from 4PM to 5PM on Sunday, March 27th in W224 F, G, & H at the Orange County Convention Center! 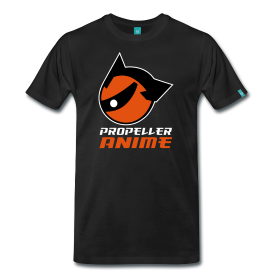 Sign-ups will be at the Propeller Anime Club table outside of W224B from 11AM to 3:30PM on Sunday, March 27th. Teams will be composed of three (3) aspiring ninja warriors and the competition will be capped at twelve (12) teams. Below is everything else you need to know about this year's Ninja Olympics! All teams must be signed up by 3:30PM on Sunday, March 27th and arrive to W224 F, G, & H at 4PM that day for the start of the Ninja Olympics. Each team will be composed of exactly three (3) members. Each team will represent a ninja village that they will register a name for. No participant in the Ninja Olympics will physically attack another participant, staff member, or member of the audience. Each event of the Ninja Olympics will test some combination of speed, stealth, strength, and hand-eye coordination. Some events may test a team's ability to work together in harmony. After all events in the Ninja Olympics have ended. All points for each team will be calculated and the top three teams will be announced and rewarded for their heroics. 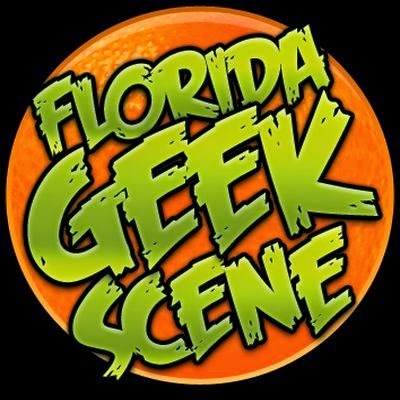 Propeller Anime Club, Anime Sushi, MegaCon, and the Orange County Convention Center will not be responsible for any injuries participants may gain in connection to the Ninja Olympics, or during it. The Ninja Masters of the Propeller Anime Club reserve the right to disqualify any teams from competition for any unruly or dishonorable behavior, and will do so without sympathy. Please be courteous and civil. Since there is physical activity required for the events, you MUST have some basic physical fitness to compete. Can you do a push up or sit up? Can you walk at a faster pace for multiple city blocks? If not, then you probably shouldn’t enter the Ninja Olympics. Make sure you stretch out before competing to prevent pulling any of your muscles or any other injury. It is a great idea to be properly hydrated for the event. Make sure that you and your teammates show up on time. There is no dress code for the event but it is recommended you wear attire you can move around in. It’s totally cool and encouraged to come to the event dressed as a ninja. However, real ninjas do not wear orange.